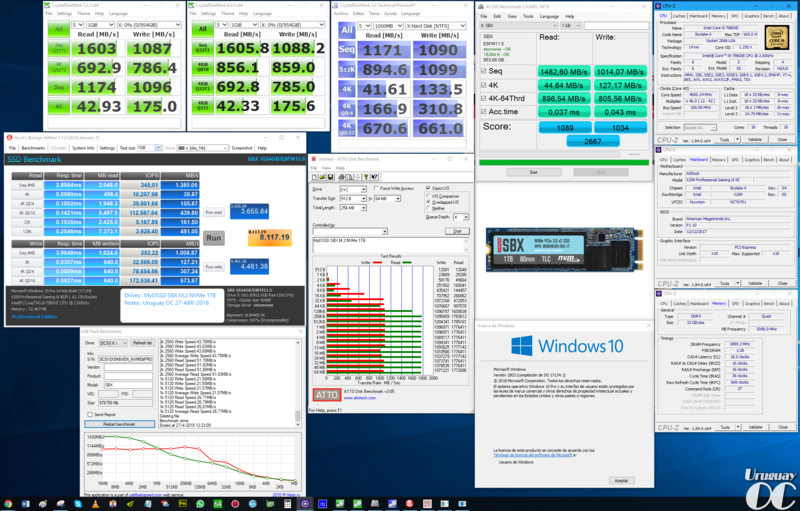 Synopsis: Latin American overclocker Sergio Echart unboxes a 1TB MyDigitalSSD SBX NVMe SSD and shares his benchmark results in this Spanish multimedia review. Sergio Andres Echart Kuc, former TweakTown Senior Spanish Editor and Founder/Director of Uruguay OC, is a well known overclocker from Latin America who's no stranger to reviewing MyDigitalSSD products. In this follow up to his 480GB BPX YouTube unboxing, Sergio shares a full multimedia review of MyDigitalSSD's 1TB Super Boot eXpress (SBX) TLC PCIe 3.0 x2 NVMe M.2 solid state drive intended for Spanish-speaking audiences. Below are excerpts from his review and a translated summary of his findings. "As of today there is no competition for the price of this 1TB M.2 NVMe SSD. While its speed of reading / writing are not the best on the market, it is 3x times faster than a 1TB SATA SSD and its quality, price and duration make it a unique product. With a difference of more than $100 compared to other brands and just $40 more than a 1TB SATA SSD, the SBX M.2 NVMe 1TB is the right decision if you want to have a large storage capacity with excellent speed, durability and a incomparable price." Is MyDigitalSSD SBX NVMe M.2 the Best SSD Bargain Available Today?